Posted on March 23, 2015 by D.J. 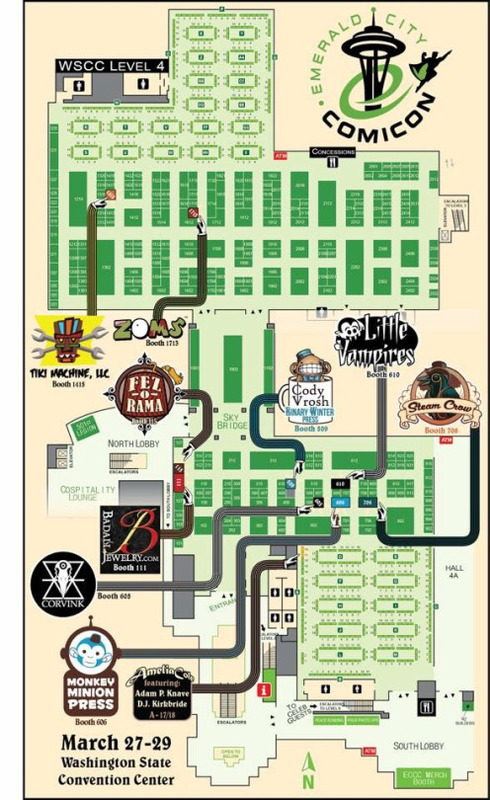 Here’s a handy map for where to find team Amelia Cole (A-17/18) and friends at Emerald City Comicon! This entry was posted in Comics., D.J. Versus THE WORLD., Writing. and tagged amelia cole, Comic Conventions, ECCC, Emerald City Comicon by D.J.. Bookmark the permalink.